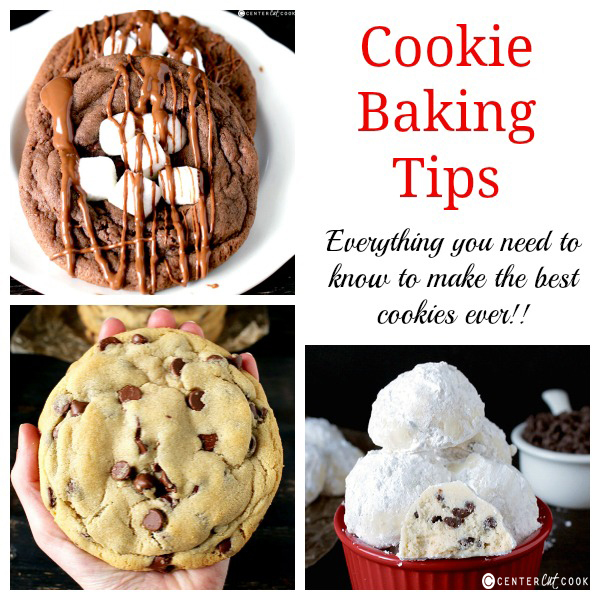 These Cookie Baking Tips will come in handy time and time again! Cookies are so loved by everyone but making them with great results can be tricky! 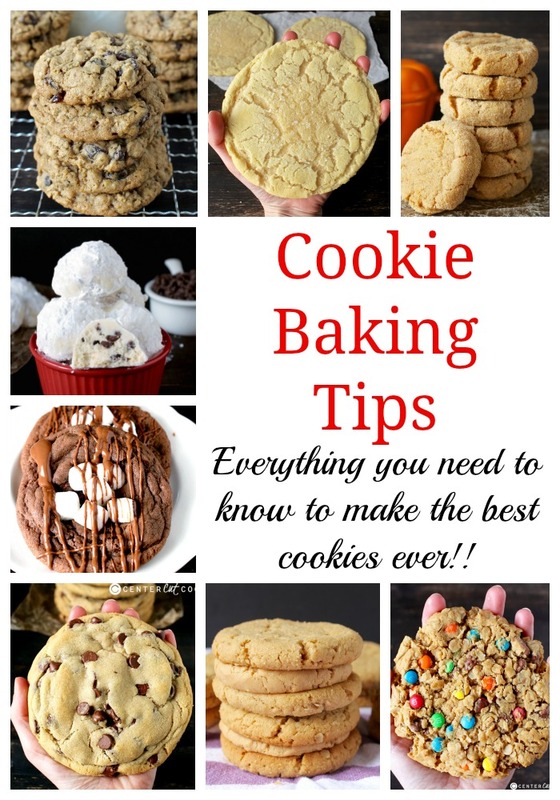 I want to share some of my best tips on baking cookies. Hopefully you will find them helpful and make baking much more enjoyable! Most people bake an extra large amount of cookies in December, but I think you’ll find this useful all year long. Cookie Sheets– invest in at least two decent cookie sheets. They don’t have to be super expensive fancy ones. I have two I really like and they were around $7 each. I have some older ones that I use for things besides baking (chilling dough in the fridge, etc). The darker the pan, the darker the cookies, so if you’re using super old pans that have been very used, your cookies will be dark on the bottom. It is worth it to buy new pans! 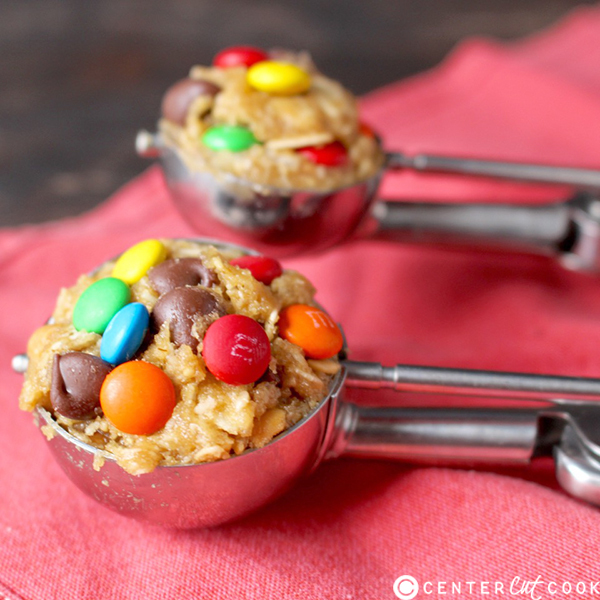 Cookie Scoops– I went without a cookie scoop for years. I didn’t think I needed one and just used a spoon. What that resulted in was uneven cookies, so they all baked differently. Some would be small and overdone, others would be big and underdone. The best way to make sure all the cookies are the same size is to use a scoop. It’s a inexpensive way to guarantee even cooking. It also saves time because you wont be trying to make the cookies all the same size. Room Temperature Eggs– making sure all ingredients are room temperature is important. Everything blends together better at room temperature, but you probably aren’t always thinking ahead when you want to bake. 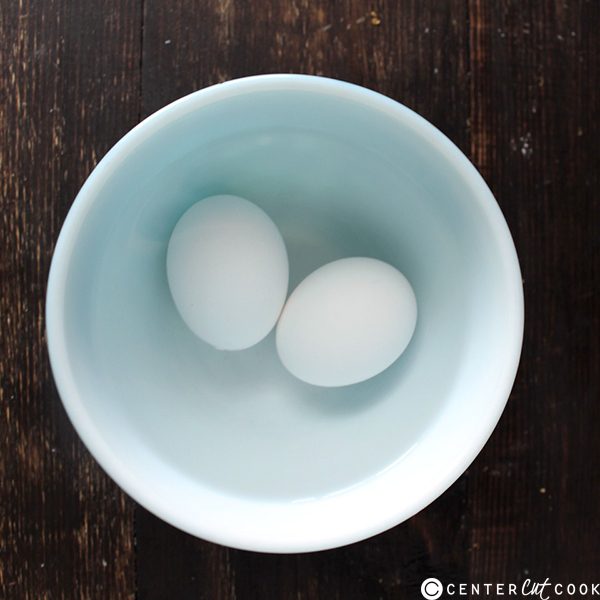 A quick tip to get eggs to room temperature fast is to put them in a bowl of hot water for about 5 minutes. I just use tap water as hot as it gets, cover the eggs, and get the other ingredients around. By the time the eggs are supposed to be added- they’re room temperature. Room Temperature Butter– this goes along with the eggs, but is even more important. Room temperature butter is necessary because it gets creamed with the sugar and if it’s the wrong temperature that will affect the cookies end result. Too cold and it won’t cream easily, too warm and the cookies will go flat. Because I bake so much, I always have a pound of butter on the counter and that’s my best tip. Leave it out if you know you’ll be cooking. 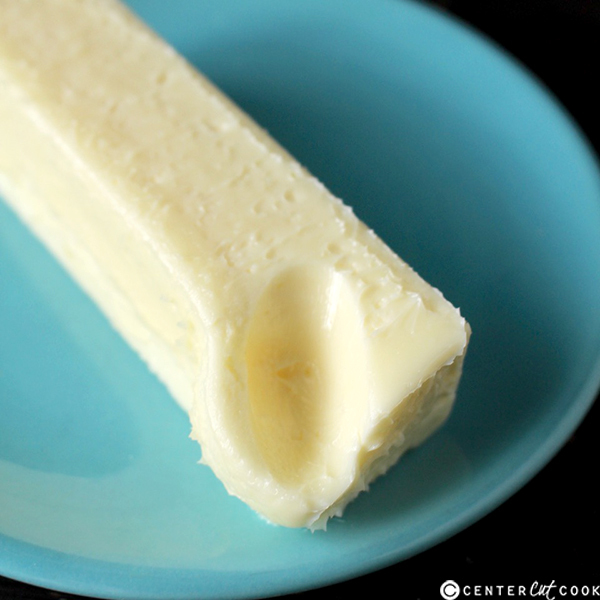 If you do find yourself only with cold butter though, cut it into small pieces so it comes to room temperature faster. I’ve also placed it in a baggie and massaged it with my hands- letting my body heat soften it. Read the Recipe From Start to Finish– this may seem like common sense, but there is nothing worse than getting half way through a recipe only to realize that it needs to be chilled over night and you were planning to bring those cookies to a friends that night. I’ve learned my lesson the hard way on this one- it just takes a second and will make things much easier. Use fresh baking soda and baking powder– if you only bake once a year you may want to replace your baking soda and baking powder. It’s not guaranteed to be bad, but why take the chance when it’s so cheap to replace? They have a shelf life of 6 months to 1 year, so if you’re questioning it, just buy new ones. Using old baking soda or powder will make your cookies flat and not rise. These are my favorite baking tips and things I have learned through out the years. Do you have any that I missed?